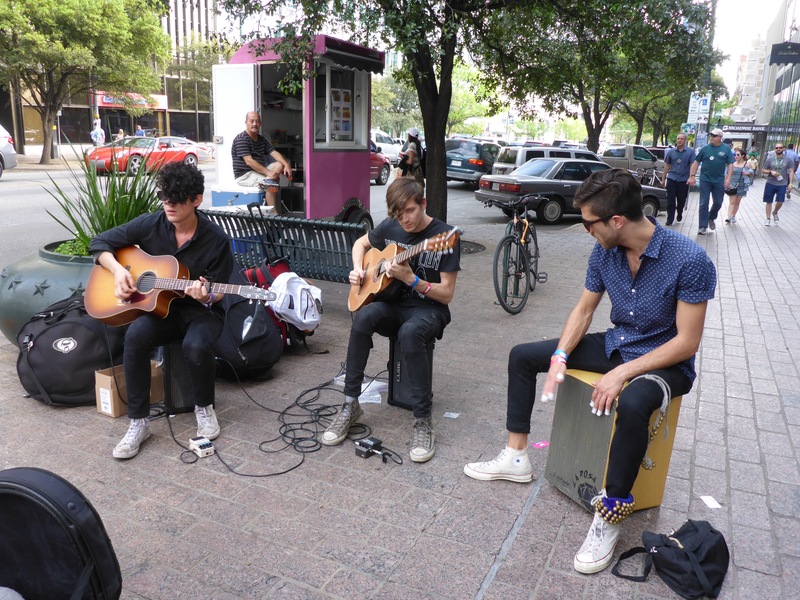 There are so many musicians at SXSW that the bands often take to the streets to help defer their travel expenses. 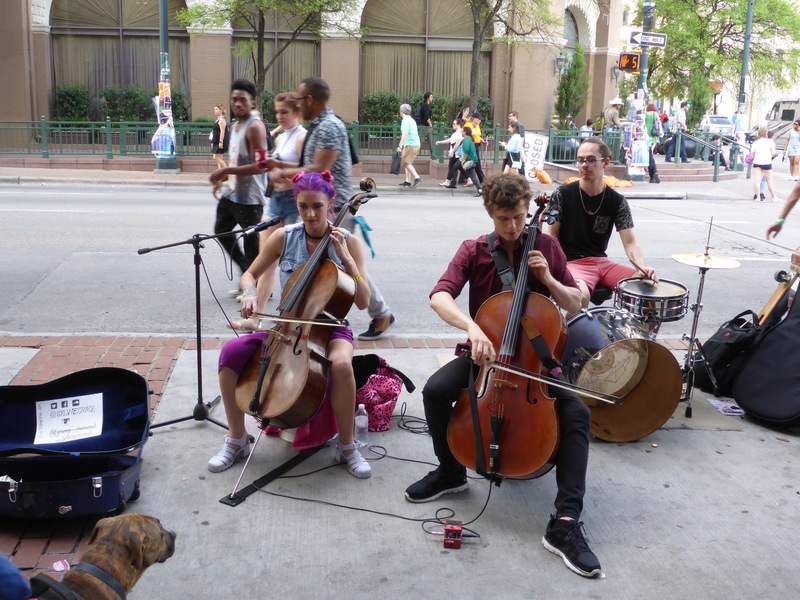 You can hear some great music as you walk from one venue to the next. 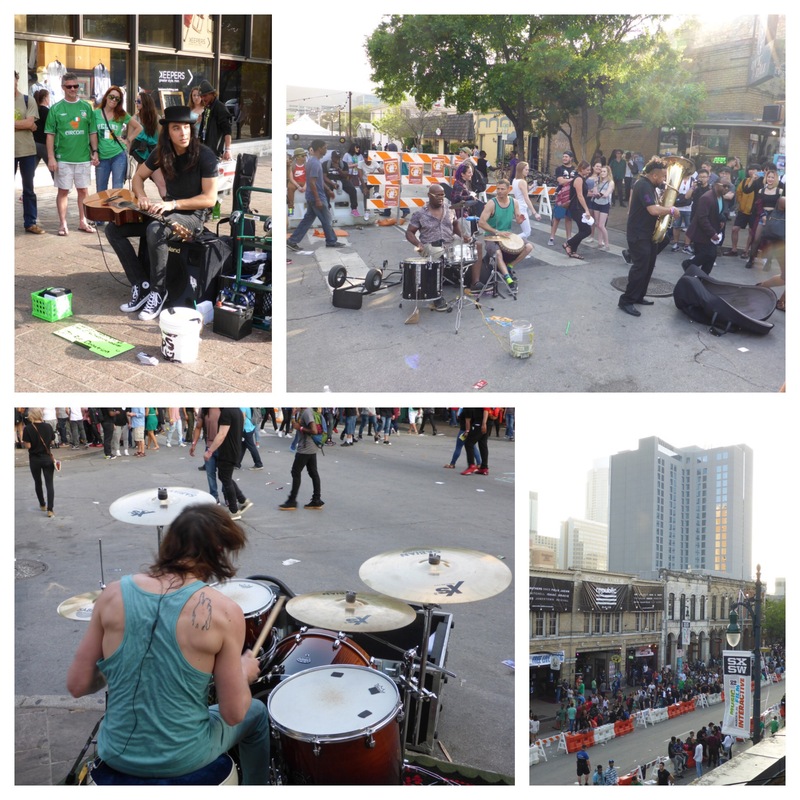 This entry was posted in Walking and tagged Austin, Bands, Collage, Congress Avenue, Downtown, Live Music, Photography, Sixth Street, Street Performers, SXSW, Texas, Walking.